At a few kilometers from the city of Cancun lies the beautiful island of Isla Mujeres (Island of Women), a place of relaxation and tranquility. The island has many attractions from the beach with crystal clear water in north to the Garrafon National Park in the south, where lies the temple of the goddess of fertility. It is considered one of the greatest Mexican natural treasures, a paradise on earth full of wonders. 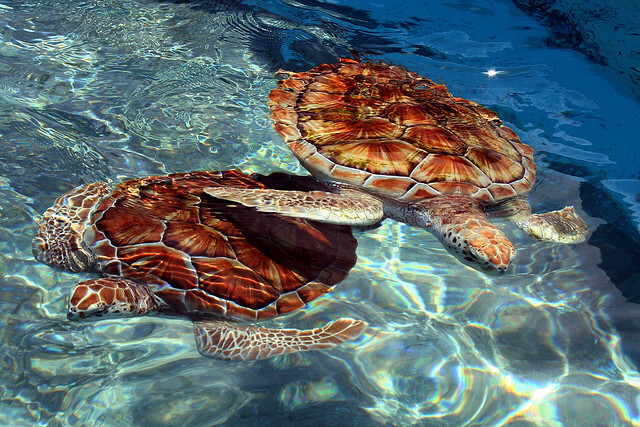 Beside the beaches, Isla Mujeres has many archaeological vestiges and marine parks with incredible natural reefs. Isla Mujeres is a dream world that fascinates at first sight by the natural beauty that is almost impossible to leave it behind once you stepped into this authentic Mexican realm. Isla Mujeres was discovered in the 50th century BC during the development of Cancun. 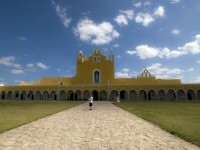 Located at 30 minutes from Cancun the island keeps alive the memory of the Mayan civilization. The name of Isla Mujeres name was given in 1517 by Francisco Hernandez de Cordoba, who led a Spanish expedition to the gold mines in Cuba. It was inspired by the many Mayan statues in the shape of women that were a tribute to the goddesses of moon and fertility. 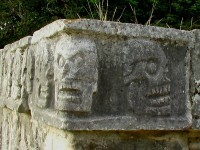 However, the island was never inhabited by Mayans; it was just a place of pilgrimage. Isla Mujeres has not lost its charm, its beautiful dream landscape with large, white, sandy beaches perfectly combined with the turquoise crystal waters of the Great Caribbean’s attract a lot of tourists. They invite tourists to swim, and to practice various water sports. 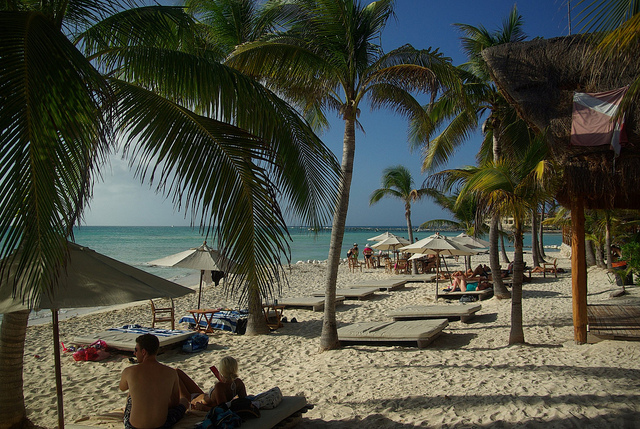 The most popular beaches are Playa Norte, Playa Paraiso, Playa Indios and Playa Lancheros. Besides the beaches the dolphins and the turtles, the multicolored fish and corals of the Garrafonatrag Natural Park attract a lot of tourists. The temple ruins the old lighthouse are another famous tourist attractions as well. 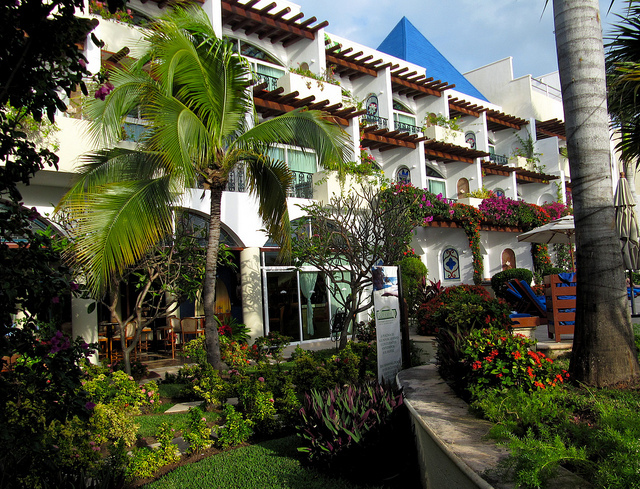 With its many restaurants, bars and discos, Isla Mujeres is an invitation of fun for everyone. Situated beside the famous resort city of Cancun, Isla Mujeres possess an excellent hotel infrastructure despite of being quite small: it is 7.5 km long and 500 m wide. 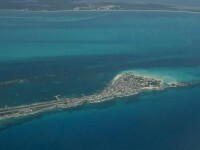 Isla Mujeres currently has 13 000 inhabitants. 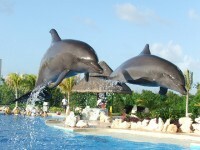 To reach this paradise, tourists are picked up in one of the three ports in Cancun. The travel with ferry boat last between 15 and 45 minutes. 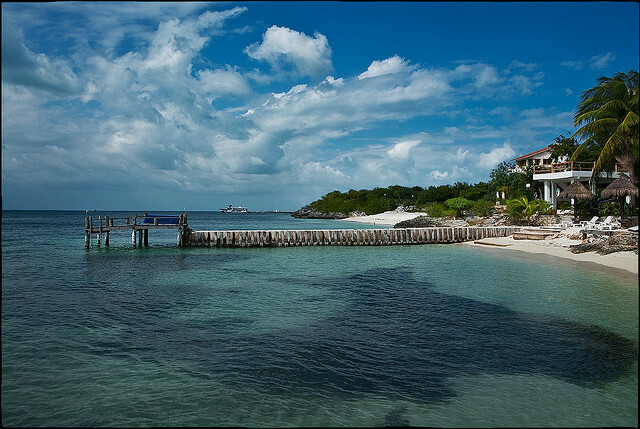 Isla Mujeres also has a small airport, but traveling by boat is both more economic and romantic.